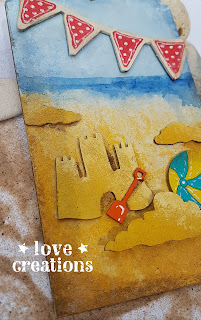 A very quick post today with my latest inspiration. 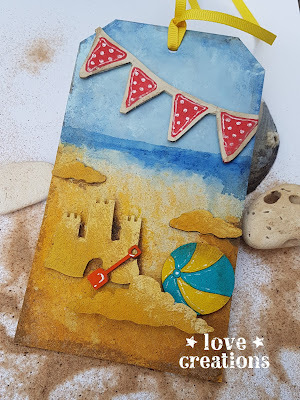 This summer tag is very quick and easy to make. 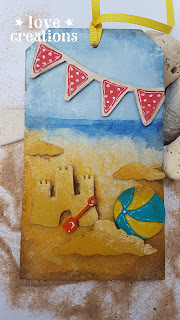 I've started with applying Decoart Texture Sand Paste on the tag and sand castel to add some texture. 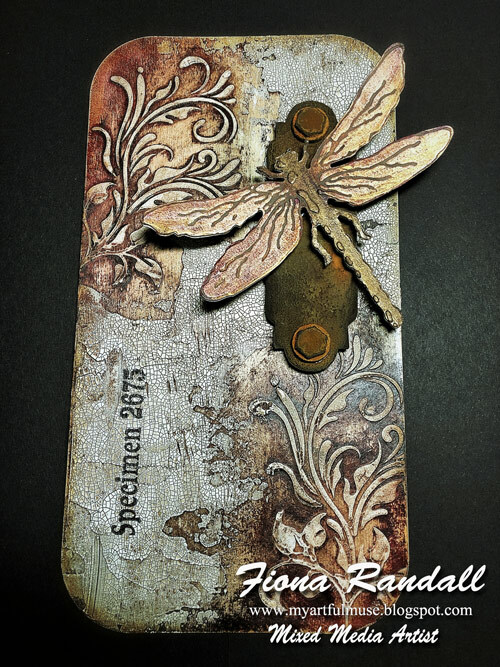 Embellishments were mounted using double sided foam tape for 3D effect.